Given that National Party leader Simon Bridges has made consistency and strong leadership the cornerstones of his attacks upon the coalition government, his own massive backflip on the meth compensation issue has been unfortunate, to say the least. Once again, it raises doubts as to whether he – or Judith Collins – is really in control of the National caucus. To recap. Earlier this year the government’s long time science advisor Sir Peter Gluckman issued a damning report on how Housing NZ had used dodgy, inappropriately low thresholds for meth contamination as a basis for evicting tenants from its properties. Back in June, Bridges publicly accepted that Housing NZ had got it wrong, and that the National government had acted upon bad advice. 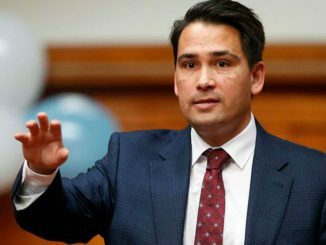 National Party leader Simon Bridges has apologised to Housing New Zealand tenants who were evicted on “dud advice” about meth contamination when his party led the Government. Now, you’d think this admission would create a broad bi-partisan basis for compensation to those families who had been unfairly evicted, at considerable cost and emotional distress. Some people had lost their possessions in trying to meet the expense of the upheaval. HNZ has admitted it was wrong and ignorant in its previous approach and gave no regard to natural justice. It will formally apologise to affected tenants and reimburse them for the costs they incurred. It is also considering establishing a fund for tenants and their families to access for addiction and rehabilitation services, and other support they might require to sustain their tenancies. HNZ said its past zero tolerance approach had had a far-reaching effect on tenants, including losing their tenancies, their possessions, being suspended from the waiting list, poor credit ratings and being made homeless. Not everyone felt so compassionate. At the same time in June that Bridges was apologising for the wrongful basis of the HNZ/National government meth policy, National’s housing spokesperson Judith Collins had been criticising the turnaround in Housing NZ’s approach as a “step too far” that was sending the wrong approach to drug users. In going down this track, Collins has been wilfully blurring the lines between meth labs, meth smokers and those unfortunate enough to rent houses where residues – sometimes minute – from drug use by prior inhabitants had been blamed on existing tenants, willy nilly. Some of the tenants affected were elderly. Many were not only entirely innocent of such behaviours, but had been saddled with testing-related costs and furniture disposal and/or had been evicted from houses where the contaminants had been at such low levels as to pose no genuine risk to anyone. By late on September 20 though, Bridges had changed tack on Twitter, so that he and Collins were singing from the same songbook – and crucially, he was now singing from her songbook. Like Collins, Bridges had begun to decry compensation being paid to quote ‘meth crooks’ unquote. Housing Minister Minister Phil Twyford [had] made it clear when Housing NZ released its report that it would not be blanket compensation. “There will be quite an in-depth and case-by-case assessment of each instance where a tenant had their tenancy terminated because of meth contamination,” he said. So… National has been caught out in trying to score fresh political points by deriding the attempts to remedy the HNZ injustices that occurred on its watch. Pretty despicable, right? Moreover, Bridges has changed tack and is now endorsing Collins’ position, even though it runs counter to the one he previously held. Add this weakness to the fact that we still don’t know the identity of the National caucus member who tried to undermine Bridges by leaking his travel costs… and you have to wonder about who really, is in charge of the National ship. So far, it has been noted that National’s new leader has failed to come up with any new policy positions that differ from what National took into the last election. Perhaps this is because he can’t convince his caucus – or more to the point, Judith Collins – that any change in direction is necessary, or desirable. It’s a sorry state of affairs. Given its own divisions, National isn’t credible when it decries the policy differences in the coalition ranks. Maybe it should first try looking in the mirror. Well, you’ve always known that this country has an independent foreign policy, and we have always been open—whether it’s economic or social policy—in the end, what’s best not just for New Zealand but our international values on which we, as a country, survive. About 90 seconds later though, Peters was defending New Zealand’s reluctance to denounce the weekend’s terrorist attack in Iran, which killed at least 29 people – the majority of them civilians, including children. Campbell : Given our independence, when would he be sending to the Government of Iran a message of condolence and condemnation of the terrorist attack on the weekend? Acting PM: Look, no, I haven’t been apprised—I know it happened, and I know what the Iranians was saying as to who the culprits are. As to the facts, we don’t know that at this point in time. Maybe we will when we know more, maybe we won’t…. That’s the point. If global terrorism is the problem, New Zealand should be willing to denounce major acts of terrorism, wherever they occur on the globe. It should also be willing to condemn attacks when Muslims are the victims of terrorism, and not merely where they are the perpetrators. And even though PM Jacinda Ardern is currently in the United States, a truly independent foreign policy would require us to denounce an act of terrorism committed even against a country that US President Donald Trump doesn’t like. One can see why an expression of sympathy extended to Iran while Ardern is in the US might be seen by MFAT as being undiplomatic. But surely, that’s the test of true independence. Acting PM: Its been my observation that in the deepest parts of Africa and other parts of the world where people have been dying in their tens of thousands, this country hasn’t been the first out of the blocks with enunciations of deep consolation. That’s not been the fact at all. Now, but, I can give you a lot of examples of that, but if you’re talking about this, I’ll make inquiries at Foreign Affairs as to what’s being done. Campbell : Just for the record, we don’t share the American response voiced by their Ambassador to the United Nations that Iran should look in the mirror, and that this was a self-inflicted attack? Footnote : Also for the record, MFAT has felt moved this year to issue press releases expressing New Zealand’s concerns about the democratic process in Venezuela, the validity of the Cambodia elections, and the use of chemical weapons by the Assad regime in Syria. Whatever the backstory, the Cat Power version usefully bridges the stylistic gaps between Rihanna and Lana Del Rey. It isn’t superior to Rihanna’s take on the song, which remains the point at which her career took on new and unexpected depth. As Greil Marcus says, ‘Stay” happens to be a song that seeps into the bloodstream of everyone who sings it.